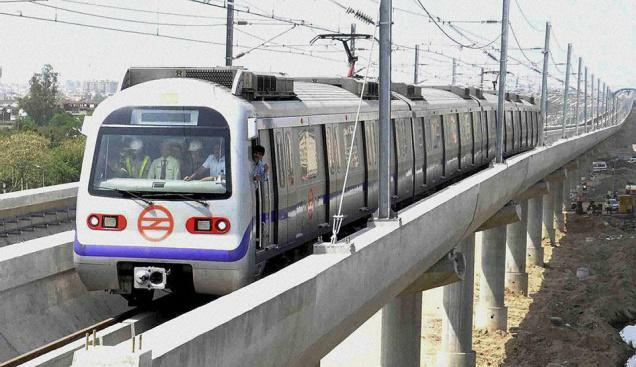 New Delhi: In what will come as a big relief for Delhi Metro Rail Corporation (DMRC) for property development to generate revenue , the urban development ministry has decided to direct Delhi Development Authority ( DDA ) to charge land rent at only Re 1 per annum. This rate will be applicable for 99 years’ lease. The decision was taken by the UD ministry last week after several rounds of deliberations. DMRC had said DDA, in its land allotment letters, was mentioning that the corporation needed to pay 2.5% of the land premium, which is substantial. Sources said the ministry went through the details of Cabinet decisions of September 1996 when it was decided that “land taken over or acquired for Metro rail project would be made over to the DMRC on 99 years’ lease at a nominal rent of Re 1 per annum”. Officials said DDA has been raising higher rent demand since land under its possession is governed under Nazul norms (rules dealing with government land in Delhi).